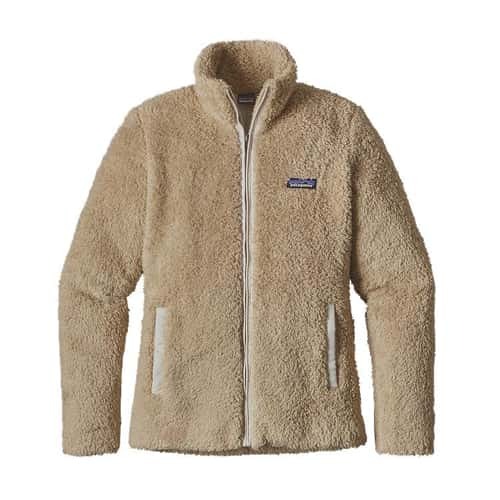 Patagonia Women's Los Gatos Jacket is a nice fitting, super soft fleece jacket that can easily be dressed up or down. The Los Gatos Jacket has a pretty inside liner. The deep pile fleece is now made with 30% recycled material. The product is excellent, but the customer service was even better. After ordering online I received a call within moments to verify my order and shipping address, since it was different than my billing address. This company personally called to make sure this wasn't a fraudulent purchase against my card. Love the personal touch and will definitely order from them again. Thank you! on 2/1/2018 Beautiful, comfortable, practical. I have been wearing this jacket every day since I bought it. I could not be happier, it is so cozy, soft and warm. The jacket is great-looking and fits great under a coat on colder days. Am very happy with this seller, the jacket was shipped out very fast and well-packaged. Thank you very much! It really is comfy, cozy, and cute! I'm a size 4 but I like to wear fleeces over shirts and sweaters for added warmth because I'm always cold so the medium fit perfectly. I've actually had to take it off because I've been too hot which never happens so I'd imagine if you're looking for a fleece to be worn as outerwear this would be a great pick. The package arrived in perfect condition in just a few days, the jacket was just as described on the website, and the price was lower than competitors so no problems with the shop. I would definitely order from them again! Purchased this fleece jacket for my wife and she absolutely loves it! Great fit, warm and super cozy! Could not be happier about this purchase.